This is a common problem when creating cigar box guitars. 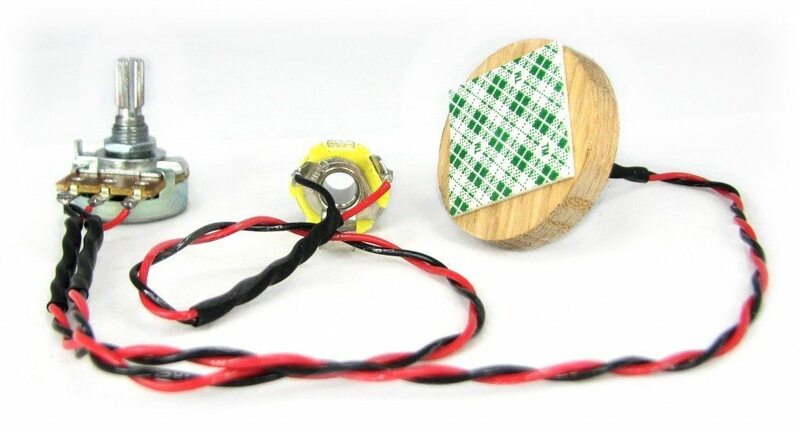 One way we have found that can help, is to install the jack on a surface of the box that you can easily get a forstner drill bit that is larger than the jack itself. Using the bit, you can carefully drill down half way, just enough to fit the jack down into and give yourself clearance for the threads. I have a wooden cigarbox that is 1/2″ thick. 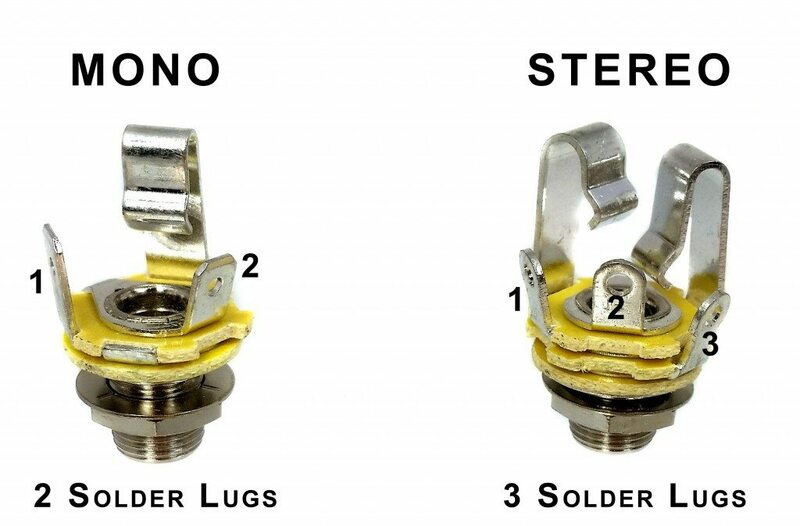 How do I mount my 1/4″ output jack when I found it impossible to secure? I can’t afford to pull anymore hair out. Thank you! 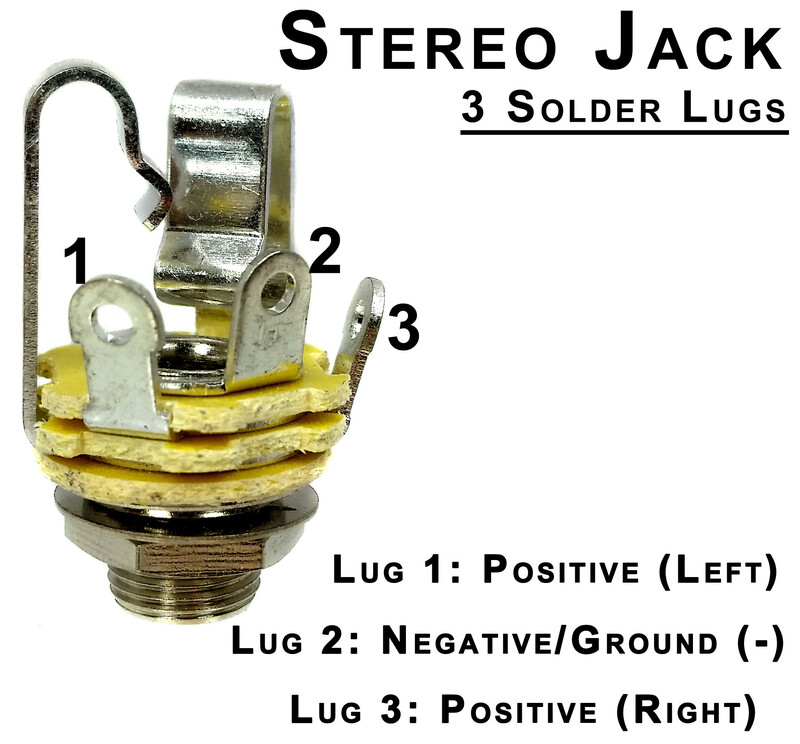 The smallest of the lugs on the jack will be your positive, while the largest is your ground. The middle one is left unused. Sorry for the delay in response, we don’t always get notifications that questions are asked here. In the future you can reach our team at support@cbgitty.com for any product-related questions. I’d like to solder a 50-076-01 Gold Fush-mount End Pin Strap Button Jack to a 54-023-01 Enclosed Single coil Pickup Harness w/Vol. Control. 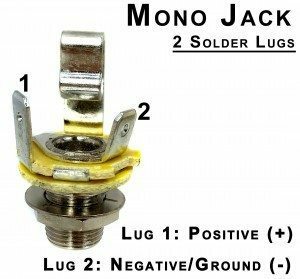 How do I determine + and – on the jack? 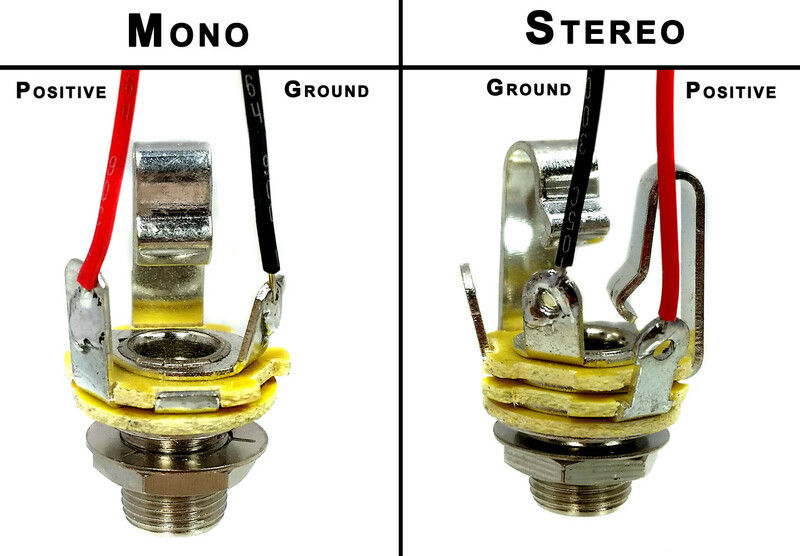 I am using the artec active preamp for Bass guitar they told me to use out put stereo jack the model SE2-A doesn’t work properly (no sound) at all. Does anybody know about artec SE2-A active preamp for bass???? these knowledge base articles are excellent – this one is a perfect example! 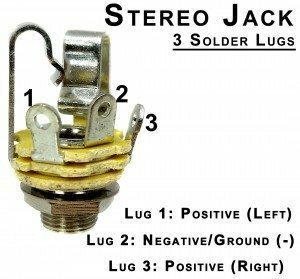 It details the jack plug wiring thoroughly and clearly, in an easy to understand manner. A reader, especially an experienced builder, might think it to be too basic and a waste of time and effort on the authors part, but for the newbie builder, this is like manna from heaven! I thought back to when i started building, (3 years on and i still think of myself a newbie), and the time i spent, (still do), looking up all these little things, solving these mysteries, confirming them, sorting the wheat from the chaff. Total confusion. If only i had seen these articles then! The articles on string sizes for various tunings – i read them a couple of weeks back, and only now i understand why i break so many strings! Haha! Not kidding! It’s so obvious now! But it was the first time i had found it, (and as i worked through it, i ended up with an easy to use, ‘you cant go wrong’ chart for string and tuning combinations – i’ll send a copy in when i have a chance to tidy it up!). Another piece of the cbg jigsaw is in place, a little more light at the end of the tunnel! This has become my first port of call for all my questions for the last couple of months now, and will remain so.